Local media said the victims were a woman and young child playing in the shallow waters of the island’s Catseye Beach. Catseye Beach on Hamilton Island. A WOMAN AND a child were bitten by a shark in the popular Whitsunday Islands near Australia’s Great Barrier Reef today in the latest of a string of such attacks. There were 20 “unprovoked” shark attacks off the vast continent’s coast in 2018, though only one was fatal, according to data compiled by the Taronga Zoo in Sydney. 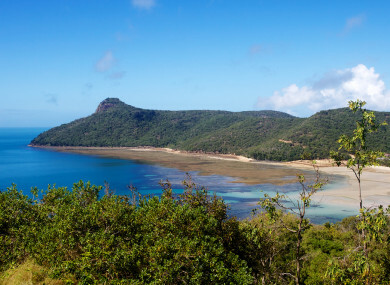 Hamilton island grabbed global headlines in 2009 when 34,000 people entered a competition to land the “Best Job in the World” – a six-month stint as “caretaker” of the idyllic destination. Email “Woman and child rushed to hospital after being bitten by shark ”. Feedback on “Woman and child rushed to hospital after being bitten by shark ”.